Luxury, prestige and comfort, these are the values New Futura promises to deliver to its residents. As a premium condominium housed on the highest point of Leonie Hill, New Futura has successfully combined modern artistic design with extravagance and exuberance. Each residential unit houses an impressive 3.15 m tall ceiling, complete with its own private lift access to deliver the prestigious sensation of affluent living. A paragon for the cosmopolitan dweller of Singapore's Orchard Road area. Subscription Update: New Futura is Fully Booked! 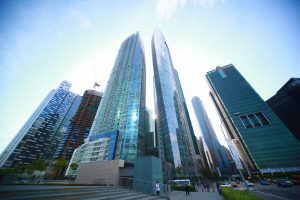 Due to the overwhelming interest and subscription for units, we regret to inform interested buyers that ALL units in both towers have been fully subscribed and are no longer available for purchase. Instead, we do have some other recommendations of new launch condos. For other projects by City Developments Limited, units at The Tapestry Condo in Tampines are still available. For other exciting projects within District 9, the upcoming RV Altitude Condo at River Valley Road is currently still in its pre-launch phase. For naturalistic themed projects, Mont Botanik Residence in District 23 will be a great place for nature lovers. Do register early for these projects to avoid disappointment. 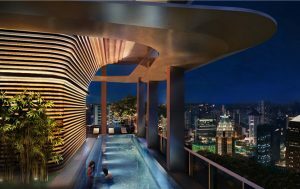 "Singapore Private Property Prices to Rise 10% by End-2018"
As a freehold condominium set in district 9, New Futura aspires to deliver a higher standard of luxury living for its buyers. And with only 124 ultra luxurious apartment units spaciously spread out between its twin 36 storey towers, its developer CDL, has proven this condo is achieving everything it set out to achieve. As a metropolitan city, Singapore's has transformed rapidly within the last few years as it introduced many iconic skyscrapers and buildings to its cosmopolitan skyline. 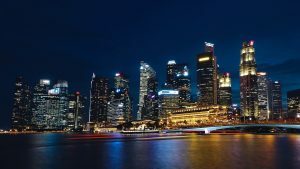 Internationally recognised landmarks like Marina Bay Sands (MBS), Gardens by the Bay, and the Esplanade to name a few, are gaining traction with audiences from all over the world. 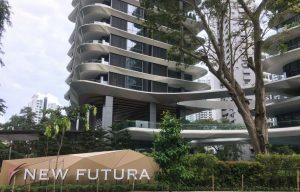 And as a condo situated in the heart of Singapore's busiest shopping belt (Orchard Road), it's not difficult to see why New Futura is strategically located. Conveniently located to put its residents close to key institutions, commercial buildings, corporate headquarters, shopping malls, clinics, and places of interest. There's rarely a dull moment living in such a bustling city. That's why staying at New Futura isn't just high-end living. It's convenient living as well! 250 carpark lots. That's about 2 lots per unit with a number of lots extra wide for homeowners to comfortably park their beautiful supercars and coupes. And that's just the basement. Because above ground, you'll find an infinity lap pool, lush tropical gardens on several floors, and even an exclusive clubhouse for residents. A cooling sanctuary by day, and your very own private gala by night. Finally, true to its lifestyle theme, New Futura's Signature Residential Service offers you hospitality-trained hosts to provide for all your needs. As the New Futura showflat is located within the actual condominium itself, do schedule an individual unit viewing with our representatives. Since our T.O.P on 18th January 2018, we do require you to book your private viewing slot prior to coming down as each session is strictly by appointment only. * We deeply apologise in advanced for turning away any On-site Viewing Request.